my cosy corner has been occupying a cosy corner (sorry, i just had to… bahaha) on the second floor of coronation plaza for as long as i can remember. its certainly not the newest/snazziest/hippest/trendiest eatery out there, but it is definitely an all-time favourite of mine (and many residents in the area), and is worth sharing about! they are a small family-run (i’m assuming) set-up that sells a range of affordable one-dish meals including japanese fare like udon and katsu rice, but what they are really famous for are their yummy local dishes ie mee siam, mee rebus, popiah, kueh pie tee etc. there is limited seating space within the shop so its always quite full no matter what time of the day you visit; there are always customers popping in for a quick bite or taking away food! 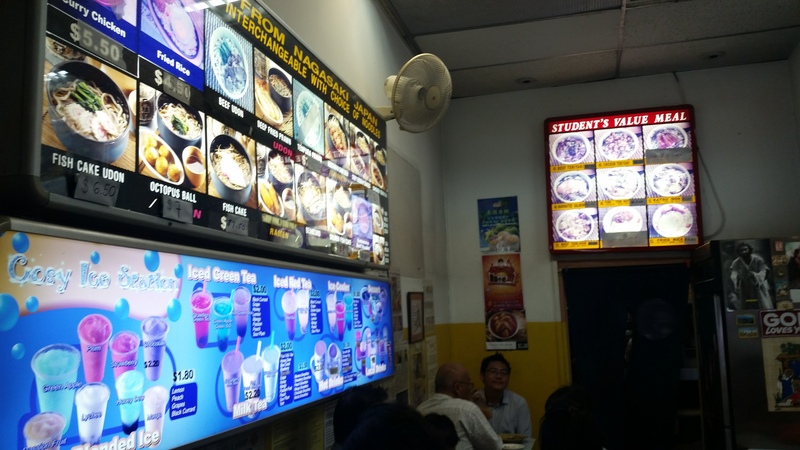 when i’m there, my order is standard – a serving of mee siam, accompanied by their super popular popiah! the food at cosy corner never ever disappoints. it is one of my all-time favourite places to have a bowl of mee siam; i know i will always leave happy. the secret to its smashing success is definitely in its gravy – not too thick or too thin, very very tasty and far from being diluted. squeeze some lime into it before eating, and it really packs a super satisfying punch! the tau pok is also worth mentioning – fried to ultra crispy perfection while remaining soft and airy within. the tow gay is also fresh and well-cooked, not at all overdone to the point of being soggy as it tends to be at many places. my only qualm is that they seriously overcharge for the addition of 2 measly prawns to the dish – if i’m not wrong, they charge an additional $1 for just 2 prawns! i hadn’t realised this but now that i’ve taken note, i might just go with the mee siam without prawns the next time round. admittedly though, the prawns do add more texture to the dish. and despite the fact that mee siam is probably available more cheaply at any regular hawker stall, i keep coming back for more. #addictive! 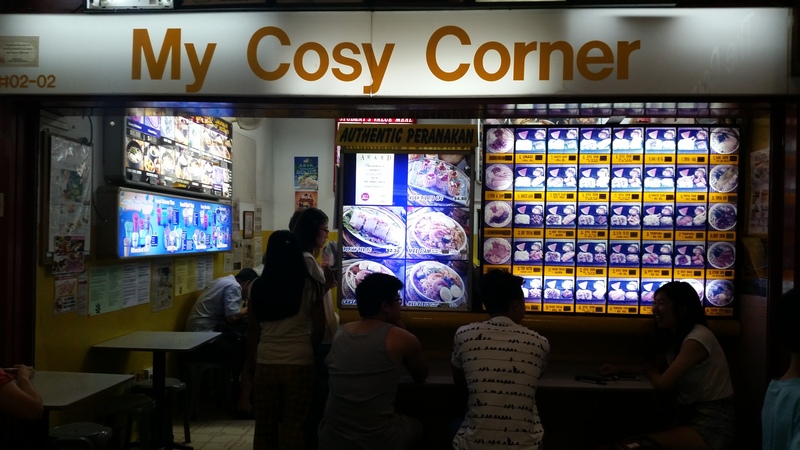 look around cosy corner while you’re there and you’ll notice that some people order mee rebus, some mee siam, some laksa, and others even japanese (always a ?!?!?! kind-of-moment for me). but what almost every table will have a serving of is their famous popiah! 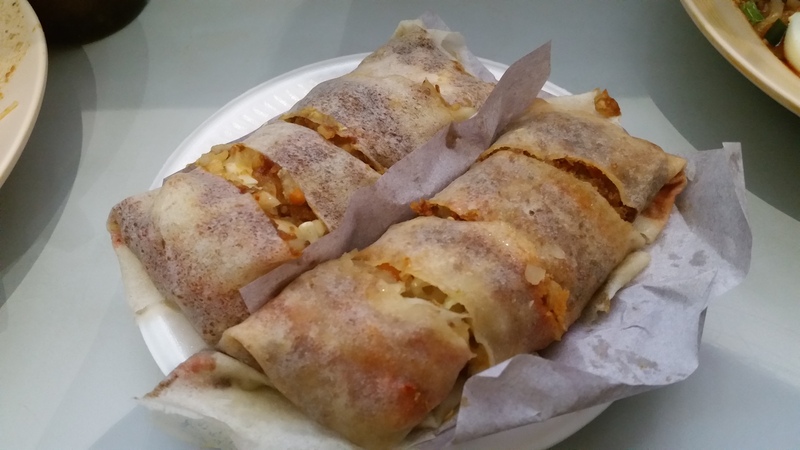 popiah aficionados will know this – cosy corner’s popiah consistently appears in lists of the best popiah in singapore, and i wholeheartedly agree that it is certainly a worthy contender! the rolls are freshly made-to-order and you can watch the aunty behind the corner at work as she gets rollin’. let’s start with the skin – it is thin and moist and is wrapped around the filling so skillfully that nothing ever falls out when you eat it/when it is cut. the filling is added generously and is extremely juicy and tasty in a very nice homecooked and not msg-laden kind of way. the chilli sauce (homemade) adds a great spiciness and my favourite part of these decadent rolls is probably the crispy fried garlic bits that are well-mixed and hidden in the glorious turnip filling that also contains beansprouts, cucumber and egg. once again, though pricey, i never stay away from their popiah for long. forever a favourite! 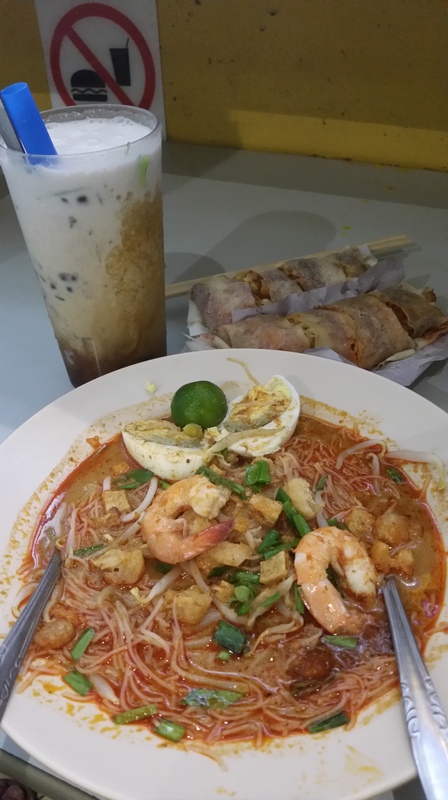 This entry was posted in Breakfast, Brunch, Chinese, Dinner, Hawker, Lunch, Singapore and tagged best eateries bukit timah, best mee siam in singapore, best popiah in singapore, bukit timah eating places, cheap eats bukit timah, cheap food bukit timah, coronation plaza food, coronation plaza hidden gem, coronation plaza popiah, good food bukit timah, japanese food coronation plaza, mee siam in bukit timah, my cosy corner coronation plaza, my cosy corner menu, my cosy corner review, my cosy corner singapore, popiah in bukit timah, where to eat in bukit timah, where to eat in coronation plaza by nicjorach. Bookmark the permalink.